My name is Savanna Perry. I graduated from the University of Georgia in December 2011, and started PA school at the Medical College of Georgia in May 2012. It changed names a couple of times while I was there, but I graduated from Georgia Regents University (same as MCG) in August 2014. I've assisted with multiple interviews so I've been on both sides. I started working at a Dermatology office outside of Augusta, GA and it is literally the greatest job ever! I have come to love my profession even more, while learning all of the advantages and few disadvantages to being a PA. My husband went through medical school while I was in PA school, and is now an internal medicine resident, so I have an interesting perspective into that route as well. I have always enjoyed helping other people to achieve their goals, and that is my goal with this site! Feel free to contact me at any time! I would love to hear your suggestions for the site, questions, and comments! Feel free to email me at savanna@thepaplatform.com. Hey Everyone, I'm Sam and am originally from Tampa, Florida. I went to Emory University for undergrad and Barry University for PA school. I actually wasn't set on the medicine track until after college so I also took a few extra science classes at NYU. I am currently living in Brooklyn and working in Manhattan. My practice is all outpatient and I work closely with physical therapists. It's amazing how many things we learn need surgery but really just need some TLC (and exercise)! My favorite part of being a PA is that most of the time my work is not black and white. One of my patients recently e-mailed me and said "I had no idea medicine was so controversial!" He was talking about how multiple radiologist read his MRI slightly different! It keeps you on your toes! I also like being able to talk with people from all different walks of life. Hi, I’m Hanna. I graduated from Pace University – Lenox Hill Hospital Physician Assistant Program in 2014. Prior to PA school I received a dual Bachelor of Education degree in Athletic Training and Exercise and Sports Science from the University of Georgia. I am currently licensed as both a Physician Assistant and an Athletic Trainer. Since graduating from PA school, I have worked in outpatient sports medicine and primary care. Additionally, I have spent time teaching Pathology at Long Island University's Athletic Training Program. I recently relocated to Los Angeles in pursuit of a more holistic and active lifestyle. My favorite part of being a PA is the limitless versatility that comes with the practice. I love having friends in various setting in the medical field which encourages sharing knowledge and promotes continuous learning. Ngan Lam is from south Florida. She obtained her bachelor’s degree in biological sciences from Florida Atlantic University. Prior to PA school, she completed her master’s degree in public health while working at the health department as an epidemiologist. She is an inaugural member of the Florida International University’s PA Program. 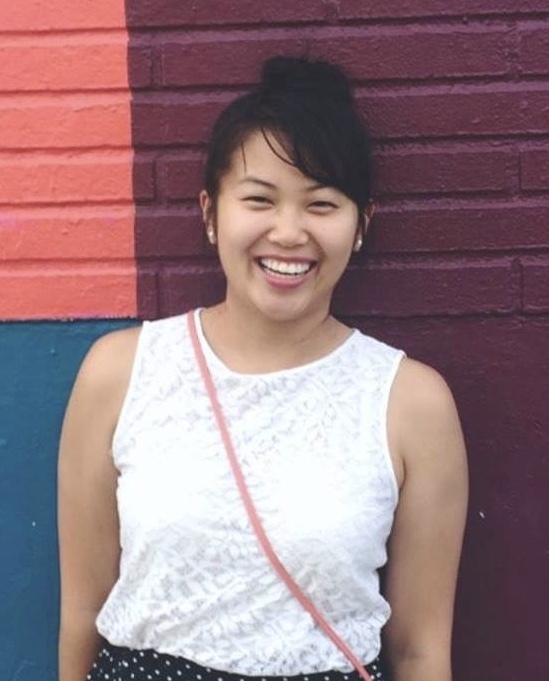 Ngan is currently working as an outpatient ENT/Otolaryngology PA. She is excited to join the PA Platform team as a coach and hope to serve as a mentor for the pre-PA community! Ngan blogs at &PA.
My name is Paul Alexander Gonzales, and I am currently a certified PA living in Dallas, TX. I was born and raised in Austin, Texas, but my family is originally from a little town outside of Austin called Lockhart, the BBQ capitol of Texas. I am the second to youngest of 5 biological siblings, but I have 2 half sisters. I started PA school in 2014 at UT Southwestern in Dallas, Texas and graduated in December of 2016. I work in pediatric epilepsy at Children's Health in Dallas, TX as of January of 2017 and I love it. I have a mixed schedule of 2 weeks outpatient and 1 week inpatient and it's the perfect balance. When I'm not working, I am writing and constantly trying to improve my blog, known as "Trust me, I'm a PA Student" or Dose of PA. I also enjoy working out, biking, skiing, and hiking with my husband, Conner. We have 2 fawn pugs named Pepi (pronounced "Peppy") and Pickles that we absolutely adore. Hey everyone, my name is Olivia! I am a recent graduate of Duke University’s PA program and have been practicing as an orthopedic trauma PA for a few months. I earned my undergraduate degree in Biochemisty from a small school in Colorado, Regis University. I knew I had a passion for medicine and I am so happy I chose to become a PA. In my free time I like to enjoy the wonderful Colorado sunshine, run, hike, paddle board, and of course spend time with my friends and family. Having gone through the process of applying and getting into PA school recently I know how overwhelming the process can be. I am looking forward to helping you achieve your goal of becoming an amazing PA. Thank you! You should hear from us shortly.